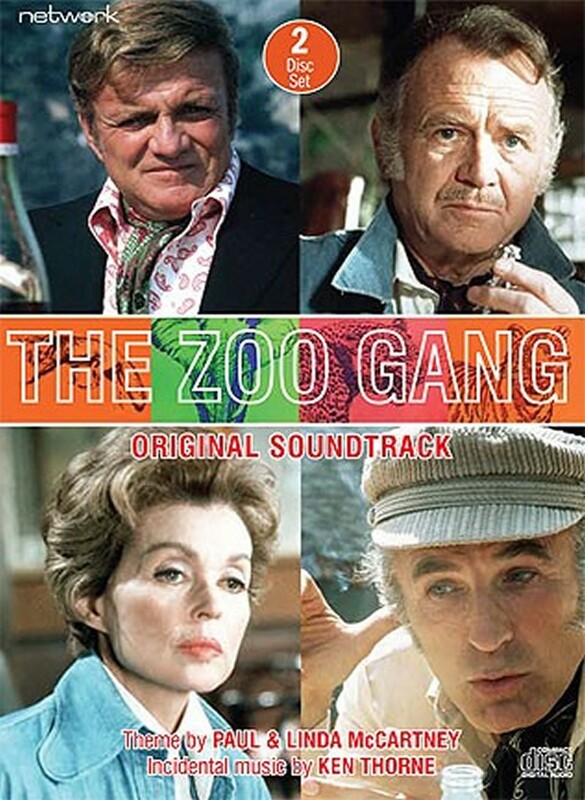 Never previously released and compiled from the original master tapes, this two-CD set comprises the theme and incidental scores for The Zoo Gang, containing around 70 pieces of music which were especially composed for the series and are presented here in stereo for the first time. With a theme instrumental composed by Paul and Linda McCartney of Wings and an incidental score from Ken Thorne, the four members of the wartime French resistance are reunited after almost thirty years to put their skills to once more, fighting crime on the south coast of France. The Fox, The Elephant, The Leopard and The Tiger settle a score with the man who betrayed them to the Gestapo, expose a ruthless extortionist, unravel the mystery of a stolen collection of African art and foil the schemes of counterfeiters. Including extensive liner notes from archive television historian Andrew Pixley, this set is an essential purchase for all ITC aficionados.